We constantly are reminded by other pilots and would be pilots that all of the costs associated with flying simply make it intangible. The cost to build or purchase an aircraft, the cost of aircraft rental, the cost of flight training, the difficulty associated with actually obtaining and maintaining a pilot certificate, the recurrent training requirements, annual inspections, cost of insurance, cost of aircraft storage, and the cost of fuel. One of the more creative aspects of this whole project was the designing the aircraft to to take advantage of the positive aspect of all of the current Federal Aviation Regulations. By building an aircraft to take advantage of these regulations we can significantly reduce the economic impact on its operator. FAA regulations do not require a pilot to possess a multi engine rating when flying a single place multi engine experimental aircraft. Recently we have been nailing down the regulations that apply to gliders and the FAA has concurred that there are no regulations requiring the possession of a multi-engine rating to fly a multi-engine glider even when used in the carriage of a passenger. However, Flying passengers in a glider will require a glider rating. If the aircraft is certified as a Experimetal Amature Built “Airplane” it would require Private Pilot Certificate to Fly. And a Muiti Engine Rating would be required to carry passengers if certified as an (EAB) airplane. FAA regulations do not require the pilot of a single place experimental aircraft to possess a glider rating unless for the purpose of carrying passengers. Additionally a glider pilot with only a glider rating may carry passengers and fly the aircraft in a single or multi-engine configuration. Because this aircraft possesses the characteristics and meets the definition of a glider (power glider) the aircraft does not require a medical certificate for its operation. As a Private Pilot, Recreational Pilot, Sport Pilot, Student Pilot or Ultralight Pilot. A glider pilot may fly this aircraft with no additional ratings required. This aircraft meets the definition of a glider (powered glider). additionally a glider pilot my operate this aircraft in the powered single or multi engine configuration. with reciprocating or electric engines. A student pilot may legally fly this aircraft. The holder of a student pilot certificate may legally fly this aircraft however it requires a logbook endorsement from a certified flight instructor. 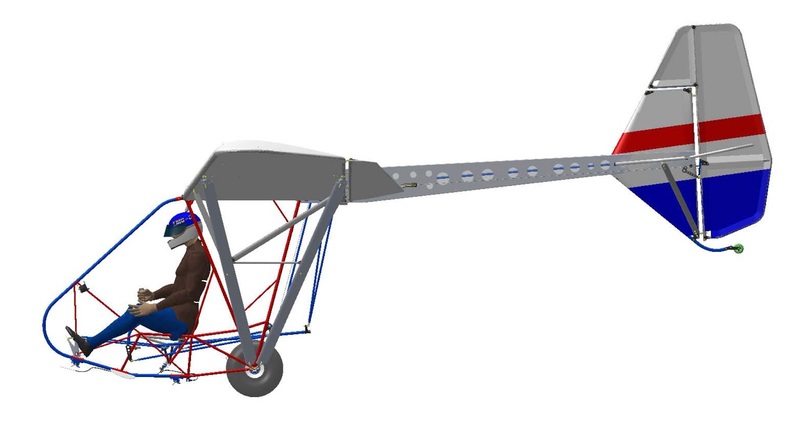 The aircraft is intended to be configured as either a sing place aircraft or two place aircraft and as such a student pilot could be signed off to solo this aircraft, build flight time and even take his check ride for his glider certificate in this aircraft either in the powered or unpowered configuration. This aircraft may be flown under FAA part 103 regulations as an ultralight aircraft. Under part 103 no pilot certificate or other requirements including training are required to fly this aircraft. However we believe that flying any aircraft without proper flight training is a recipe for disaster. 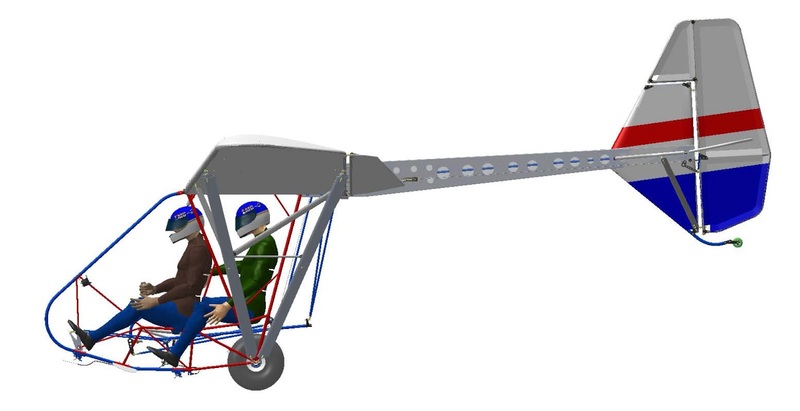 Additionally an ultralight pilot may construct this aircraft and fly it as a true legal ultralight and then later on decide to license the aircraft as an experimental aircraft and continue on to get his Sport pilot, Recreational Pilot, or Private pilot, glider Certificate in the same aircraft. 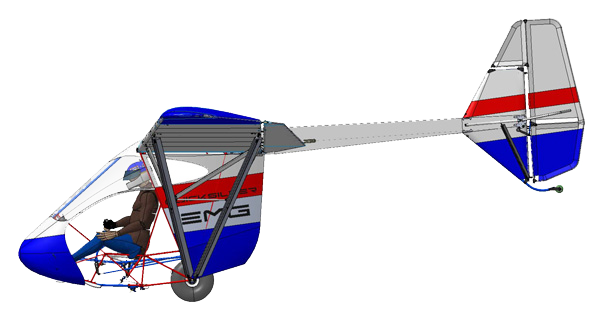 Building the EMG-6 as an Ultralight is possible however, The aircraft requires special modifications and configurations to legaly meet FAA part 103 Regulations.